I love this little rug. It's in my kitchen and I get compliments on it all the time. 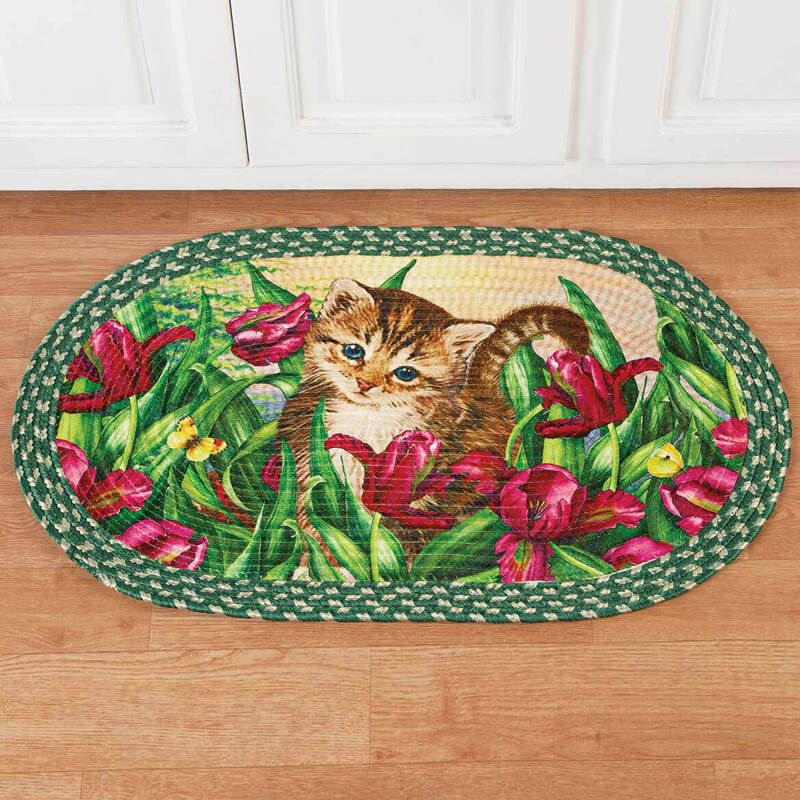 This id a beautiful door rug.The colors are bright and vivid.It brightens up the hallway in front of my door. Rug is nice-sized. The kitten is adorable. I didn't realize it was designed on one side only, which isn't really a problem. The back side is white in the center, and mine came feeling like it was sticky or tacky on that side. I don't know if that will eventually go away or not. I wanted a couple of small colorful rugs in my guest bedroom and these are so adorable!! 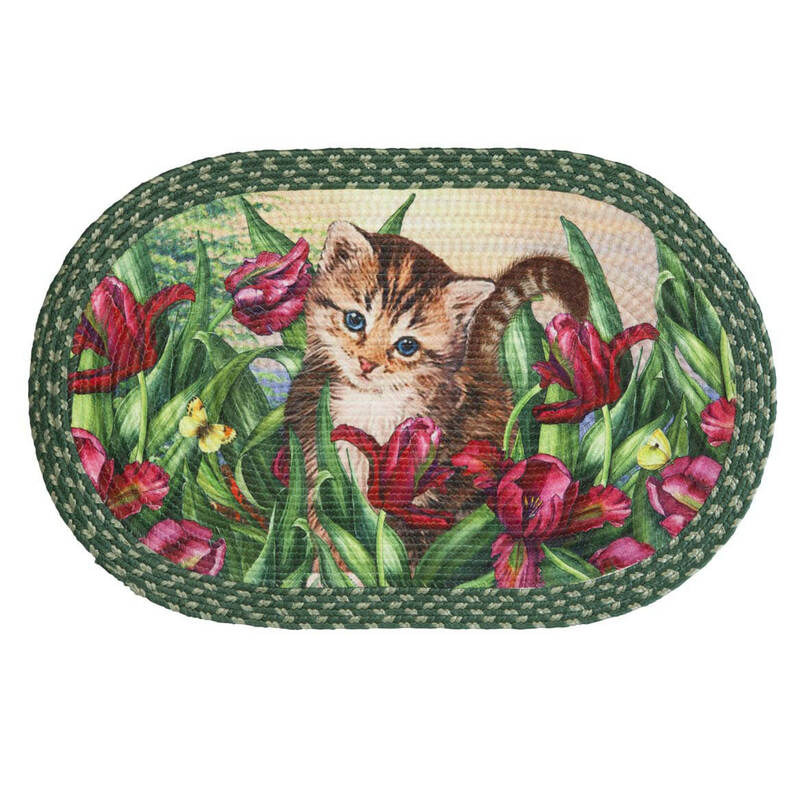 Pretty kitten tapestry rug. Will look cute in my laundry room. I love cats and the colors in this are beautiful. Perfect size for area in bathroom. Need kitchen rug/mat soft bottom to stand on if you have? BEST ANSWER: Thank you for your question. Please click on the following link to view our kitchen mats. what is the size of the cat rug? BEST ANSWER: Thank you for your question. The rug is 29"Lx19 ¼"W. We hope this information will be of help to you.